Denmark, the smallest country in Scandinavia, is in no way inferior to its big brothers Norway and Sweden. 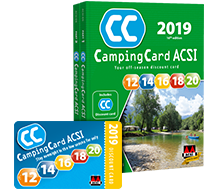 The beautiful countryside and characteristic towns make Denmark a great place to camp, and with CampingCard ACSI you can do so at bargain prices in low season. From one of Denmark’s many campsites, discover the country’s rich history with wild Vikings, conflict between Catholics and Protestants, and the fairy-tale world of Hans Christian Anderson. There’s so much to explore. You can walk along the varied coast, which will take you to sandy beaches, the Wadden Islands and chalk rocks. Or experience contemporary Danish culture, which is famous for its Lego and Copenhagen’s popular Danish design. ● Roskilde, which was the Danish capital until 1400, is a very special little town. It can give you an overview of the entire Danish history. Visit the Viking ship museum, where you can relive the Vikings’ travels from an original ship. Or enter the beautiful Gothic and Romanesque cathedral, where 39 Danish kings and queens lie buried. ● Next to Tivoli, Copenhagen’s most well-known amusement park, there is the less well-known theme park Dyrehavsbakken or ‘Bakken’. Bakken (1583), which is also located in Copenhagen, is the oldest theme park in the world. A great place to take your (grand)children! The park does not have an admission fee, the visitor pays per ride. So if you or your grandchild does not feel the need to go on a roller-coaster ride, but you do want to enjoy the exuberant atmosphere of a theme park, Bakken is the right place for you. Nearby you will find the natural area Dyrehaven, which means “The Deer Park”. Perfect for a varied walk. ● On the west coast of Mid and South Jutland, which houses many of Denmark’s campsites, you will find the Wadden Sea. This protected natural area is the home of a rich variety of birds: from ducks and seagulls to black-tailed godwits and the common redshank. Seals are also happy on the Wadden coast. So if you take a guided walk over the mud-flats, you may meet some. Danish campsites are known for their high quality. They are a reflection of the country itself: they are neat, well-organised and come equipped with all comforts. 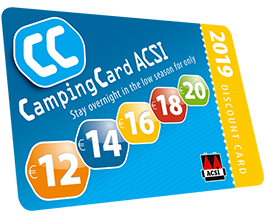 Life in Scandinavia can be expensive, but with CampingCard ACSI you can camp very inexpensively at a Danish campsite in low season. 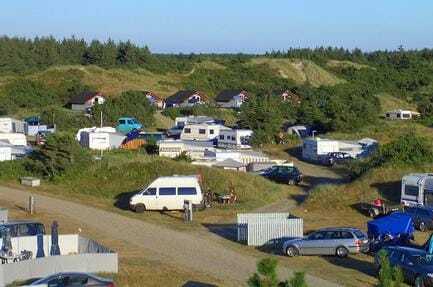 Most CampingCard ACSI campsites can be found in Mid Jutland, South Jutland and Fünen. Denmark is a small country, so everything is easily accessible. And if you do find yourself driving, you will find that driving past the characteristic towns and over kilometre long bridges is quite enjoyable, with a beautiful view over the wide stretches of water. Denmark consists of more than 400 islands, of which the peninsula Jutland is the largest. Despite the huge amount of islands, Denmark is famed for its organised culture: a good infrastructure, clean streets and green forests. Because of the flat landscape and many dykes Denmark is, moreover, a perfect country for cycling. The Danish coast is also really suitable for long walks. Don’t forget: despite the fact that Denmark belongs to the European Union, it does still have its own currency: the Danish Crown. The driest period is between the end of April and the beginning of June, so you can also enjoy the sun during low season. However, Denmark will not always be able to guarantee you a sunny holiday, however it can guarantee bargain camping in low season. And when the weather is disappointing, there will always be a nice museum or interesting church nearby.